OGE and Silver Spring Networks are not afraid of reaching into the home. Silver Spring Networks just keeps delivering news this holiday season. 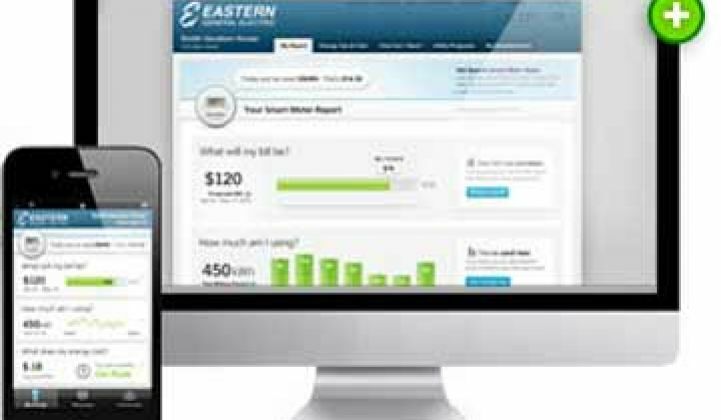 After a successful pilot, Oklahoma Gas & Electric will deploy Silver Spring Network’s demand response platform, including CustomerIQ, to 50,000 residential and small commercial customers in 2012. The plan is one of the largest deployments of home area network technologies for a utility, and it’s being watched closely by other utilities around the world. For OGE, it's all part of a plan to reduce the need for new generation until at least 2020. For customers who sign up to variable peak pricing plans, OGE will deliver an Energate thermostat that can respond to price signals according to a customer’s settings. All customers will also have access to 15-minute interval data through a web portal as they receive their smart meters. The plan is to squeeze 210 megawatts in demand reduction over three years -- about 70 megawatts each year, according to Mike Farrell, director of customer programs at OGE. “Our ultimate justification for AMI was about the customer and not just operational efficiencies,” he said. Instead of trying to wring the megawatts out of large commercial and industrial customers -- they offer load control in that space, too -- OGE thought it was important to engage other customers to let them know they’re more than just the company that keeps the lights on. The utility will not only look toward the biggest homes with the highest load, although it will likely start with high-energy users that can reap the most savings out of the program. For 2012, the pricing will be the same as the pilot, with an hourly range from $0.045 to $0.23, and $0.46 per kilowatt-hour for critical peak. If people ask to join, no one will be turned away. However, there will be some differences between the pilot and the larger deployment. Currently, Farrell said they were getting the maximum reduction at about 3 p.m., and they need it at about 5 p.m., so the highest rates will likely shift to a little later. Also, they have had some connectivity issues with thermostats -- in some instances, the units don’t communicate with the meters. It’s not necessarily a matter of distance, said Farrell, but it’s an issue that Silver Spring is working on; eventually, the company may even develop a direct-to-grid connection for the thermostat. The payoff for Silver Spring could be substantial. OGE will add another 50,000 customers through 2014 to get to about 210 megawatts from about 150,000 customers. And if the program is wildly successful? “I hope we have that problem,” said Farrell, who noted the utility would probably go back to the commission for additional funding for more thermostats if it runs into that "problem." Silver Spring is also in pilots with Pacific Gas & Electric, which is mandated by the state to have a comprehensive strategy in the home. Success in Oklahoma would only be a feather in the cap for Silver Spring in a bid for PG&E's business in the residential space. If $300-$400 per home for the entire system seems like a lot of money to convince people to turn down their AC units, it’s still far cheaper than building a new power plant. People also like the program. For customers who have been in the pilot since 2010, there has been an extremely high retention rate, and early data is showing that there isn’t a drop off in performance. OGE knows the program isn’t perfect. But perfect can’t be the enemy of good. Just like any other technology, such as computers, you can’t wait for the best version and you have to accept that whatever you buy today will be obsolete in a few years. Farrell said the only thing they’ve done differently than some other utilities that have had successful home energy management pilots is that OGE has moved beyond the pilot stage. But that is no small point. Utilities have to ask themselves, “How much are you giving up by not jumping in?” asked Farrell. For OGE, this isn’t just about delaying generation. It’s about the future of the business. OGE doesn’t just want to curb peak, it wants to change the way its customers view the utility. “They only think of us when the lights don’t go on,” said Farrell. But with solar panels and other forms of small-scale renewable generation, just keeping the lights on is not the business OGE wants to be in. Instead, the utility wants to be a trusted service provider.